WIELS is one of my favourite spots in Brussels and I think I have been to every exhibition here since we arrived. 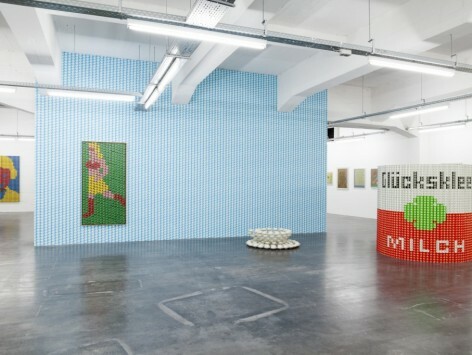 The kids usually come too and they particularly enjoyed Thomas Bayrle who is in there now, with his dizzying repetitions of form and involving mechanical sculptures with sound. The highlight of the year was most definitely the Jeremy Deller show that was on last year, but most exhibitions have something to love and the former brewery building is a great space.